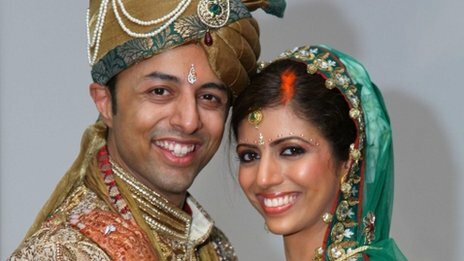 *Shiren Dewani is accused of murdering his honeymoon wife in Cape Town. *Anni Dewani’s family and campaigners have argued that the legal challenges were a poly to delay justice for the murder victim. *Sherani Dewani si accused of plotting and hiring hit man to kill his wife. *UK High Court dismissed the claim on the basis that if Dewani is unfit to stand trial, South African justice system will deliver him back to UK. Shrien Dewani, who is accused of organising the murder of his wife Anni in South Africa, can be extradited to the country, the High Court has ruled. Lawyers for Mr Dewani, 33, who has post-traumatic stress disorder, argued he should not be sent there until he was fit to plead over the 2010 killing. But judges ruled he can be extradited as long as the South African government pledges to return him to the UK should he ultimately prove unfit to be tried. Mr Dewani is currently in hospital. Speaking outside the High Court, BBC correspondent Angus Crawford said the South African authorities had indicated they were minded to accept the court’s conditions for extradition. But he said Mr Dewani’s family could yet lodge an appeal at the UK Supreme Court, which would continue to delay any extradition. A lawyer for the South African government said it was “delighted” with the court’s ruling, and expected it would be able to give the necessary undertakings, but needed 14 days for “final clarification”. Anni’s cousin, Amit Karia, said the family was happy with the ruling by the three judges at the High Court. “We have waited for it for three years, three months,” he said. Mr Dewani, from Bristol, has been fighting removal from the UK to face proceedings over his new wife Anni’s death until he has recovered from his mental health problems. He is suspected of ordering the killing of Anni, a Swedish national. The pair were kidnapped at gunpoint as they drove through the Gugulethu township in Cape Town in a taxi in November 2010. Mr Dewani was released unharmed. South African Xolile Mngeni was later convicted of premeditated murder and jailed for life. Prosecutors allege he was hired by Mr Dewani to kill his wife. Mr Dewani, who has always denied the accusation, has been fighting efforts to secure his extradition ever since it was first ordered by a senior district judge in 2011. Posted on 31st January 2014 by newsafrica. This entry was posted in Africa, Human Rights Violations, London, South Africa, United Kingdom and tagged Cape Town, Dewani, Extradition, High Court, High Court of Justice, Posttraumatic stress disorder, Shrien Dewani, South Africa. Bookmark the permalink.